A blizzard that snarled traffic throughout New York City was not enough to keep the performers or the patrons away from UnCaged Extravaganza, the final evening of the 2013 UnCaged Toy Piano Festival on Saturday, December 14, 2013. The sold-out crowd entered Mary Flagler Cary Hall at the Dimenna Center for Classical Music to find the floor arrayed into a four-ring circus of diminutive pianos and other toys and contraptions waiting to fulfill the festival’s theme of “Toy Pianos and Other Unconventional Instruments.” UnCaged festival director Phyllis Chen, Margaret Leng Tan, Kathleen Supové, and Cory Smythe, among the world’s foremost toy pianists, presented eight world premieres and one U.S. premiere. Tan, dubbed “the queen of the toy piano” by the New York Times, opened the program with three world premieres. In Drunkard Dance by Ying-ann Linn, Tan played a slowly building, repetitive line on an upright toy piano while striking an empty Melita coffee tin with a distinctly Asian flair. Question, by William Johnson, as Tan said, required her to “be a little John Cagean.” She propped open a library copy of Joan Last’s The Young Pianist on top of the upright toy piano and proceeded to randomly select pages and play short bursts of notes. Her demonstrative page-flipping back and forth added percussive intensity. Monica Pearce’s clangor, written for Tan, was wonderfully complex with intricate runs on the toy piano and joyful flourishes on three bicycle bells attached to a slab of wood. Later in the program Tan played another world premiere, Hatta for toy piano, chess set, tea set, and Cheshire cat by James Joslin. This musical sendup of the tea party in Alice in Wonderland was full of madcap musical hijinks as Tan raced between two toy pianos, moved chess pieces on a sensor-loaded board that amplified the sound, all the while wrestling with making and drinking a spot of tea. Chen gave the world premieres of three works. The most exciting and unconventional-intrument-filled was Mid-Century Marfa by Anthony T. Marasco, the winning piece in the festival’s call for scores. The piece required an elaborate setup of toy piano, two plastorgans (empty plastic bottles of varying size with slits and microphones morphing them into wind instruments), aeolian harp (an open stringed instrument played by wind), two standing fans, and a handheld fan. As Chen played these instruments, Marasco live-processed the sounds through his computer. The music from the plastorgans changed with the increase or decrease of fan speed and from Chen moving her hand between and around the bottles, creating an eerie textural contrast to the melody she played on the toy piano. To play the aeolian harp, Chen used the handheld fan to rustle music out of the column of strings. Chen also played Tre Ritratti del Tempo for toy piano and toy psaltery by festival runner-up Silvia Corda. Chen plucked the psaltery, which is similar to an auto-harp, as she played the piano. The psaltery’s tuning was slightly offset from the piano, resulting in hauntingly eerie overtones as the two instruments played off each other in fugal formation. In Jeff Brown’s Motion Harmony for toy piano and sound pendulum, an “honorable mention” work, Chen held a rope with that sound pendulum at the end and swung it back and forth or in a circle to various sonic effects as she played strings of notes and chords on the toy piano. The faster she swung the pendulum, the higher the frequency sounds it emanated. 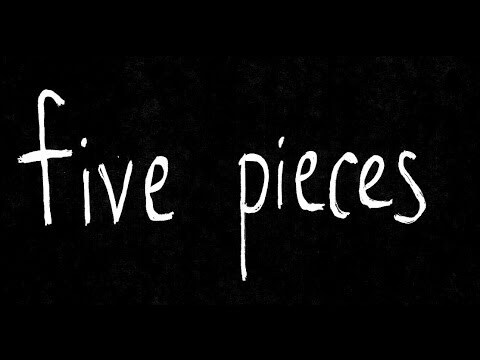 Chen was also featured in composer Danny Clay’s video production Five Pieces (after John Cage), inspired by John Cage’s Suite for Toy Piano. Clay, who “daylights” as an elementary school music teacher, played the Cage suite for his students in grades 1 through 5 and asked them to draw graphical scores representing how the music sounds to them. Clay then sent the scores to Chen for her to play and record. Clay’s video collage in five sections mashes up snapshots of the scores with Chen’s recordings, interspersed with his own electronic manipulations of the music coupled with abstract images. The overall effect was one of pure joy in the experience of making music. Other works on the program were The BFG for toy piano and electronics by Christopher Biggs (2010) performed by Cory Smythe and the most manically playful piece of the evening, Kathleen Supové’s world premiere of Toycycle for toy piano and tricycle, by Yvonne Freckmann. Supové wheeled in from the rear of the hall on a souped-up tricycle, with her stuffed pet gorilla, about the size of a two year old child, on the seat. She blew the trike’s horn, rang the bell, and shouted out greetings to people she knew in the audience. When she reached her toy piano, she hooked up the trike on a rack that left the front wheel free and kept the horn and bell in reach. She played a slowly evolving minimalist riff on the toy piano while she pedaled the trike’s front wheel with her hands, resulting in a percussive ratchet sound from the paying cards stuck in the spokes. She also pounded the sides of the piano for additional percussive effect, tooted the horn, and hit the bell. The pace built steadily to a climax, then Supové, holding her gorilla, collapsed in a heap on the keyboard. Tan returned to the stage to close the evening, playing Jorge Torres Saénz’s Toy Symphony, commissioned by the Nacional de Bellas Artes for the 2013 International Forum of New Music “Manuel Enriquez” in Mexico City. A true symphony, in form and scope, for toy piano, toy xylophone, bells, smiley-face rattles, and toy noisemakers, it served as a delightful end to a wonderful evening of playful and innovative music.